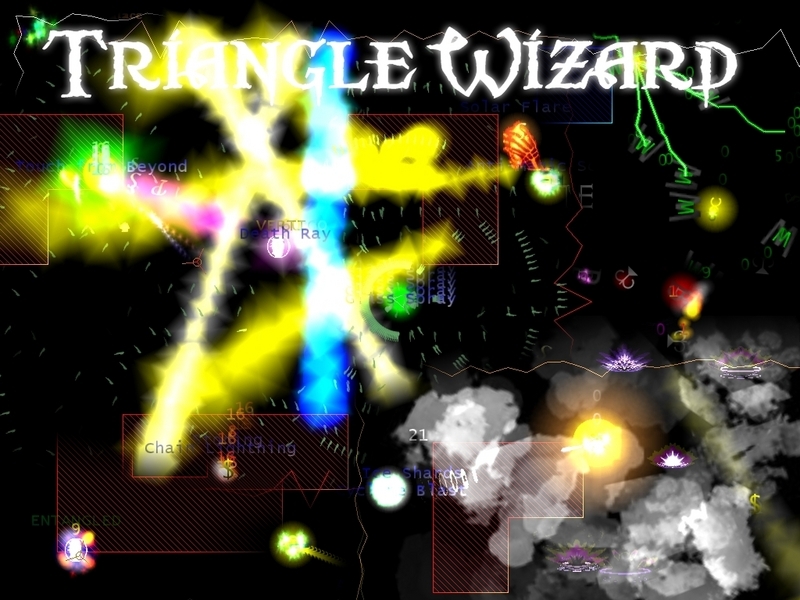 Triangle Wizard is a free hack 'n slash game featuring retro graphics and a wealth of content. You are a wizard and need to travel 100+ dungeon levels down in order to defeat your nemesis; the Nameless One. During this journey you may learn many spells with which to charm, destroy or confuse your enemies. Most dungeon levels are randomly generated and populated with more than 500 different types of monsters, some of which may even cast spells! A free hack'n slash game containing elements of NetHack and Diablo. 10 MB free hard disk space. DirectX 8 support. ...... monsters, some of which may even cast spells or summon other monsters. Of course there are also special dungeon levels where the player will encounter some tough resistance in the form of a 'boss monster'. Featuring an interactive environment, magical traps, champion and unique monsters as well as over ninety different magical spells (e.g. Charm, Animate Dead, Solar Flare, etc.). The player may also enlist the aid of friendly creatures or summon his own. But watch out because the game is very difficult and if you die it is permanent (although players may opt to switch this option off). Deceased adventurers may well come back from the grave to haunt future characters as they in turn try to survive the perilous journey down. Qweas is providing links to Triangle Wizard 9.06 as a courtesy, and makes no representations regarding Triangle Wizard or any other applications or any information related thereto. Any questions, complaints or claims regarding this application Triangle Wizard 9.06 must be directed to the appropriate software vendor. You may click the publisher link of Triangle Wizard on the top of this page to get more details about the vendor.